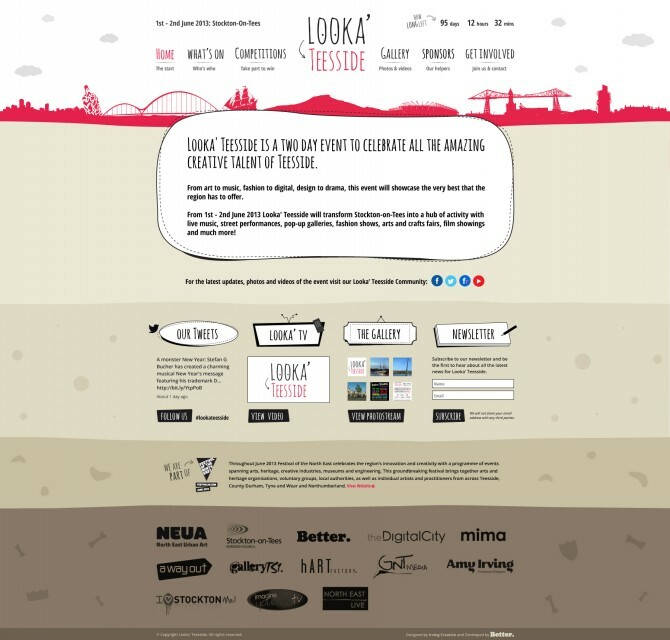 Better support Looka' Teesside | Better Brand Agency. We’re very proud to be supporting and sponsoring the upcoming Looka’ Teesside festival. 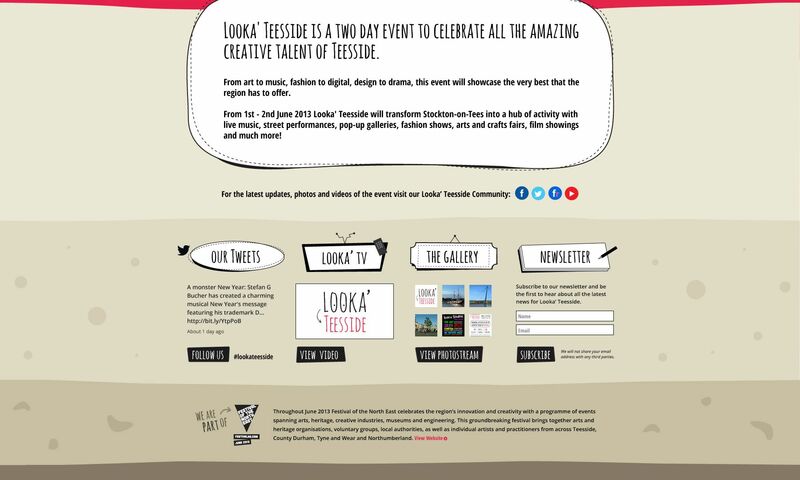 The event, held from 1st – 2nd June 2013, is a two day festival celebrating all the amazing creative talent of Teesside. From art to music, fashion to digital, design to drama, this event will showcase the very best that the region has to offer. Looka’ Teesside is a two day festival celebrating Creative, Film, Arts, Fashion, Digital and Music talent in Tees Valley.